In all honesty, there is a lot that goes into your HVAC system. And when it comes to energy efficiency, you have to consider the other parts of your system as well. You may have the perfect unit to heat and cool your home, but if your Duct Work, Vent Work, and Gas Lines are too small or too large for your unit then you are wasting money! In the Heating & Cooling world, Bigger is not always better! Just like Goldy Locks And The Three Bears it has to be “Just Right”! At DeZiel Heating & A/C, our dedication knows no limits. We want to keep your family comfortable, and that is why we offer our Duct Work, Vent Work, Gas Line Services. We have the experience and tools to install or repair every part of your HVAC System. We are the trusted Energy Efficient Heating & Cooling contractor for the West Metro, Wright County, and Buffalo area. Give us a call and we can help you save money and keep your family comfortable at the same time. It doesn’t take a rocket scientists to realize that a small air handler trying to push air in a over-sized duct system is a waste of time. 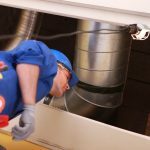 It is also easy to assume that it is difficult to blow air through a small sized duct system. That would be like trying to breathing thorough a straw. When it comes to your HVAC system, Size Matters!!! To have all the worry taken off your hands call DeZiel Heating & A/C. We will inspect your system and give you honest recommendations to keep your entire system working properly and effectively. Proper Ventilation is extremely important when it comes to the safety of your family. 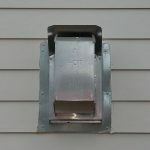 You may not realize it but ventilation work is all over your house. It is in your kitchen, bathrooms, and if you have a gas fireplace it is in that room as well. Adequate ventilation is required for any installment of a gas fireplace. Installation, repair, or relocation of gas lines needs to be completed by a professional, licensed contractor! A potential gas leak is a serious, poisonous hazard that is silent and deadly. We have all see the results of a leaky gas line on the news at some point in time. If you want your West Metro, Wright County, and Buffalo home to be the safe haven that it is suppose to be then call DeZiel Heating & A/C. Our Master Gas Fitters will ensure that your gas line is installed correctly. 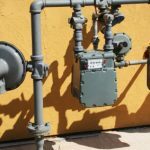 Don’t take chances with gas lines, call a professional! If you are looking for Duct Work, Vent Work, or Gas Line Services then please call 763-684-3965 or complete our online request form.